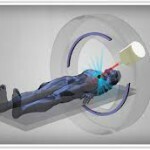 Image Guided Radio-Therapy (IGRT) is a revolutionary new procedure that is helpful in the treatment of cancer. It’s far superior to the current procedures that use imaging techniques such as ultra sonogram and electronic portal imaging. 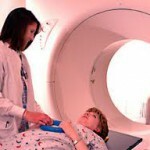 It uses on board kilo-voltage cone beam CT scan for precise positioning of tumors. Under this procedure, the image of the tumor area is taken and the radiation administered simultaneously in real time, thereby allowing the physician to target the radiation at the exact location of the tumor. This means radiation kills only cancerous cells and not the surrounding healthy tissues. 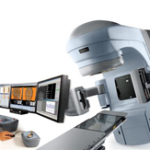 In IGRT, the linear accelerators (machines that delivers radiation) are equipped with imaging technology that take pictures of the tumor immediately before or even during the time radiation is delivered. Specialized computer software compares these images of the tumor to the images taken during the simulation to establish the treatment plan. 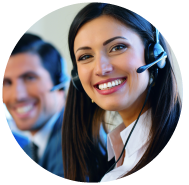 Necessary adjustments can then be made to the patient’s position and/or the radiation beams to more precisely target radiation at the cancer and avoid the healthy surrounding tissue. Through more precise targeting of the beam, dosage levels can be increased and target volumes (the three-dimensional areas to receive treatment) can be reduced—so tumors get a higher dose of radiation and healthy surrounding tissues get very little. Higher doses have been shown to enhance treatment effectiveness. And better targeting reduces the possible side effects of radiotherapy. State-of-the-art motion management techniques allow patients to breathe naturally during treatment sessions, increasing treatment accuracy, reducing stress and increasing patient comfort. IGRT allows radiation oncologist to guide a beam of radiation directly to a tumor by imaging that tumor before treatment with a CT scanner that is incorporated in the linear accelerator and with kilovoltage imaging. Medical research has proven that this tool is critical because many tumors move around inside the human body, and it is critical to know exactly where a tumor is before and during treatment. 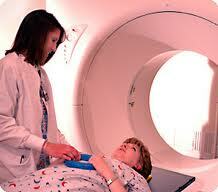 Otherwise, healthy tissue might be damaged and a cancerous tumor might not be completely irradiated.